Beautiful skin means healthy skin, however the ways to achieve healthy skin are not easy to comprehend. The cosmetic industry advertised thousands of products and formulations which promise to provide important nutrients for the skin, however, many of them are simply ineffective. Skin suffers the most from UV radiation and photoaging. Antioxidants are the most important elements which fight the consequences of sun exposure and prevent damage it can cause to the skin. The most important supplements for this purpose are selenium, vitamin E, and vitamin C. Antioxidants protect the skin cell walls and other structures, including cell DNA, from damage suffered by free radicals from sun radiation, pollution and other harmful factors. Many manufacturers of cosmetic formulas claim that their products represent the best topical resources of these important nutrients, but in reality it is very hard to achieve the proper dosage and combination of ingredients in order for them to work. 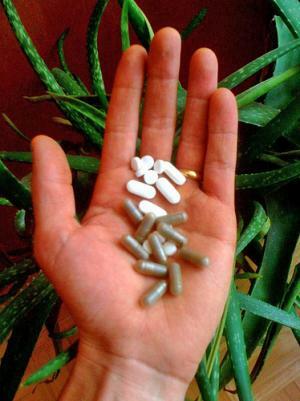 The best way to make sure the supplements which are applied topically actually work is to consult a dermatologist. The mineral selenium is very precious for the skin. It is necessary for the antioxidant glutathione peroxidase, which protects the body from cancers, including skin cancer. Selenium also provides elasticity to the skin and slows down the aging of the tissues caused by oxidation. Selenium can be found in sea food, garlic, eggs and whole grains, or taken as a supplement of 50 to 200 micrograms. Vitamin E is one of the most important antioxidants in the body. It can be found in sunflower oil and other vegetable oils, in whole grains, nuts and meat. Taking vitamin E supplements, especially in conjunction with vitamin A, significantly reduces the risk of skin cancer caused by photodamage. It also prevents and reduces wrinkles and gives the skin a smoother, healthier and fresher texture. Vitamin C is another potent antioxidant, found in fresh fruit, especially citruses, and in vegetables. Just like vitamin E, this vitamin is vital for fighting free radicals and preventing their harmful action which leads to serious diseases like cancer and to aging. The problem with vitamin C is that it is rather unstable. Its levels are reduced by the sun, pollution or smoking. Even minimal exposure to sun’s ultraviolet radiation can decrease it by 30 percent. Vitamin C is commonly found in form of L-ascorbic acid, which unfortunately breaks down the instant it is exposed to oxygen, which means that topical formulations containing this form of vitamin C are only slightly effective. Scientists are currently working on finding a way to make it more stable.